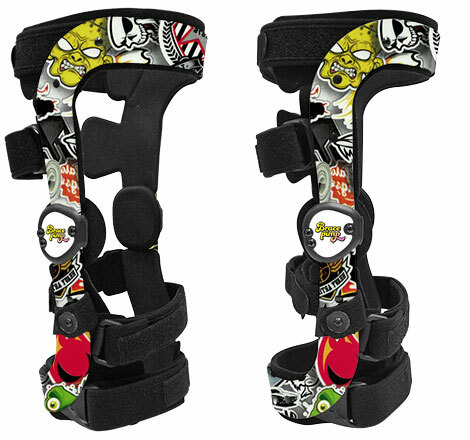 It all started back in 2015 when we customised an old pair of knee braces in our garage. We posted a few photos of our funky design on social media and were surprised by the reaction and requests we received. We have now teamed up with Townsend Thuasne - manufacturers of the Rebel® sports knee brace. These high performance medically proven knee braces are designed for users who have experienced ligament injuries and/or reconstructive knee surgery. Featuring exclusive patented technology and built to CE certified standards using a unique fabrication method. This enables us to offer you a perfectly fitting knee brace that's individually made from three specific leg measurements (which you can easily take yourself). So whether you're returning from an injury or for prevention, you can trust BracePimp® to build you the ultimate custom knee brace. "I injured my MCL during an international match in Sweden. I was given an extensive rehab programme from my strength & conditioning coach. However, if it wasn't for my Rebel custom-made knee brace I wouldn't have been able to accomplish my goals as fast as I did. 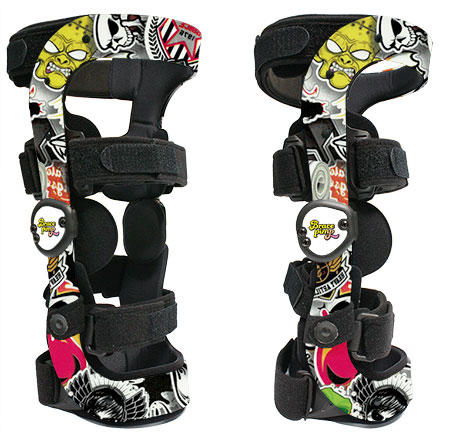 The brace gives me the mental and physical security to return to top form." "I think a pair of Rebel custom-made Knee Braces is the way to prevent injury, no matter if you do have knee problems or just want to prevent further damage. 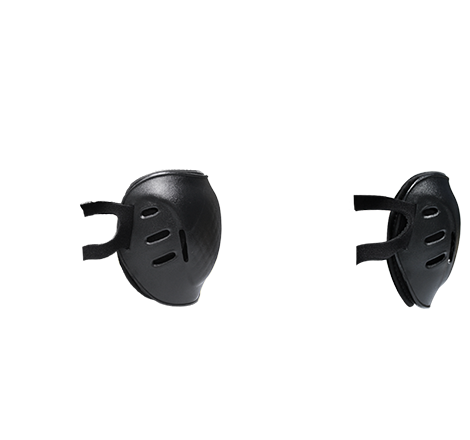 With the ultimate knee protection they provide, I can improve my performance and feel safe whatever the riding conditions." "I tore My ACL and MCL as well as damaging my meniscus in spring 2014. 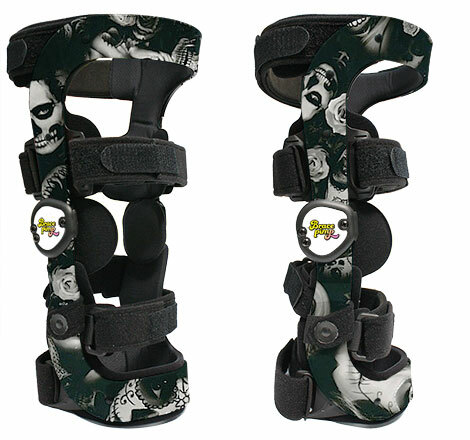 After having reconstructive surgery later that year my knee still felt vulnerable so I decided to try a knee brace. 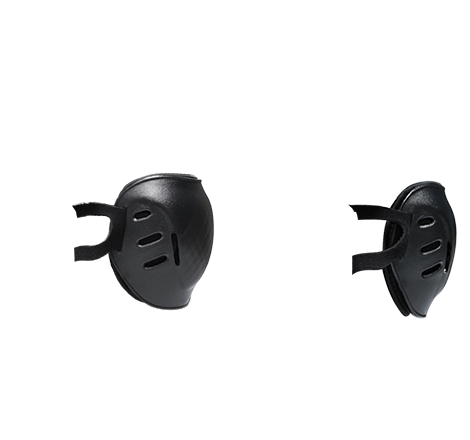 It took a couple of sessions to get used to at first but once I was used to it I totally forgot it was there. 3 years on and my knee is strong again but I still ride with the brace to prevent future injury to my knee but also as it just feels so natural to me now." 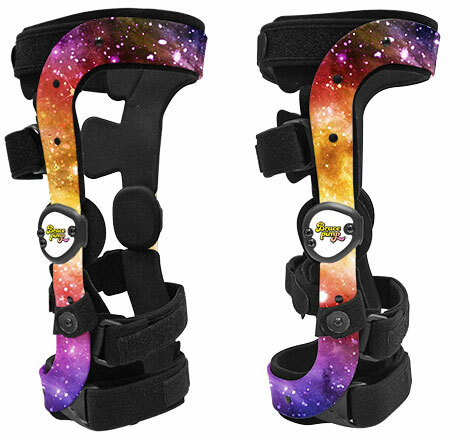 "I've suffered with various knee injuries over the years and although I've tried to rest and recover, I still re-injured them and each time it's taken longer to heal. 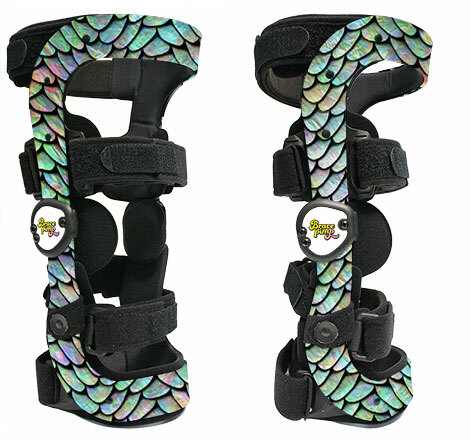 Due to the extremity of the sport I decided to invest in a pair of knee braces as I'd rather protect my knees against further injury, and avoid the need for surgery. I now wear my braces during every session and my confidence and ability to perform has improved greatly." "I tore My MCL playing for Great Britain before my first professional season in 2012. I played through it then had to rehab extensively in the off-season. 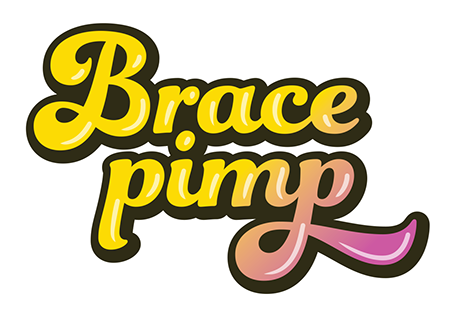 I have used braces ever since as a preventative measure. 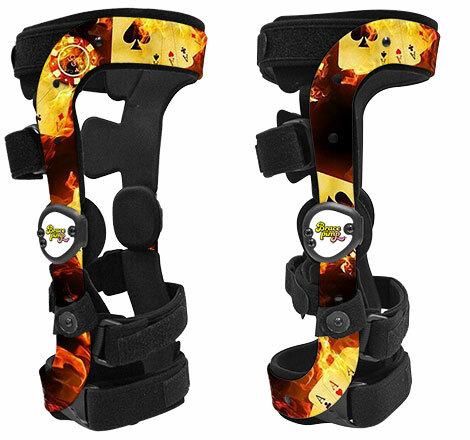 Wearing the Rebel braces gives me confidence to play my hardest and my best… I wouldn't play without them!" "After taking a nasty fall back in April 2016, I ended up with Arthrofibrosis in my knee. 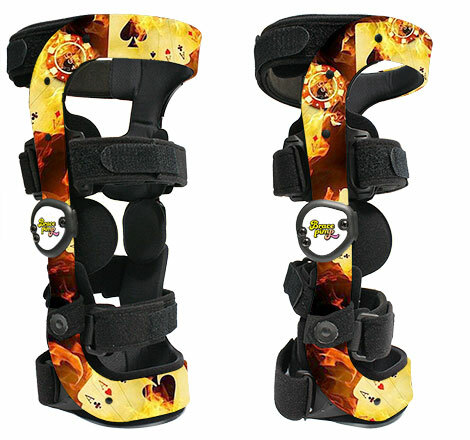 Due to complications during surgery I was out of action for some time. Now after 18 months of recovery I'm finally back on my board and couldn't be happier! Although I still don't have my full range of motion back, a knee brace gives me the protection, support, and the mental push to keep riding to my full potential." 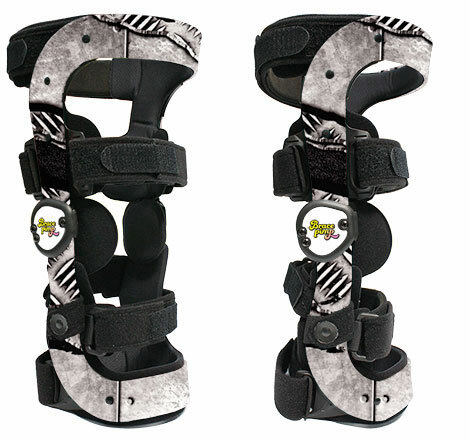 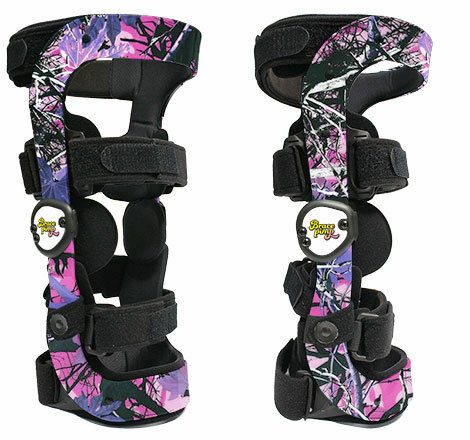 Use our configurator to build a Rebel knee brace around your lifestyle or specific injury. Simply start by selecting your preferred frame style. 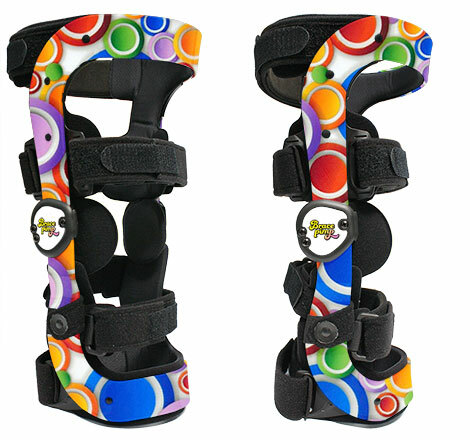 Colours in final product may vary from those displayed by your device. Rebel® knee braces are designed with superior materials, mechanics, and are built using patented technology for safety and performance to meet the uncompromising demands of professional athletes and weekend warriors, who settle for nothing less than the best protection, durability and comfort. Rebe® knee braces are individually built to order, and offer a superior fit versus conventional ready-made braces. 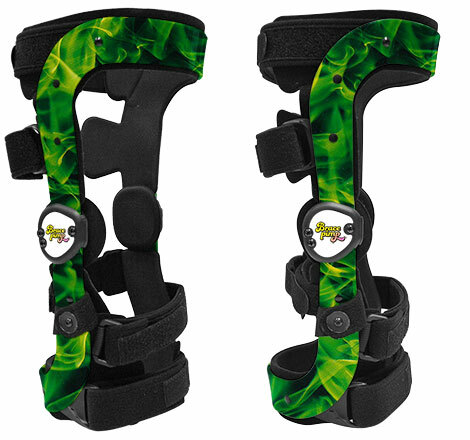 All our Rebel® braces come with a Perfect Fit Guarantee and backed by a Lifetime Warranty. The tibia section of the frame is contoured to match the anatomical shape of the shin controlling internal and external rotation, improving fit and reducing brace migration. Patented low profile natural motion titanium hinges mimic the roll-and-glide motion of the knee keeping the brace properly positioned optimising function and suspension of the brace. Plus, optional 'Extension Assist' mechanism to aid quad muscles during leg extension. 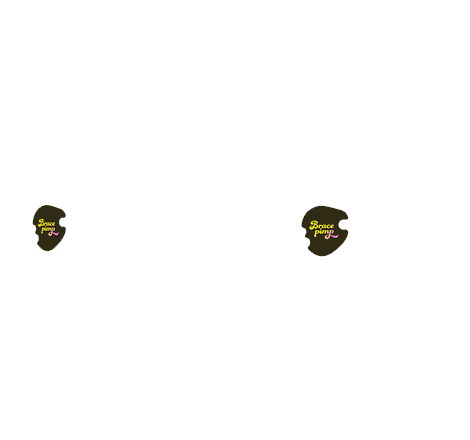 Ultra low profile 3.5mm frame custom fabricated using high tensile T6 aerospace grade alloy, makes the brace Lightweight (550g), resistant to corrosion and resilient to high impact forces. 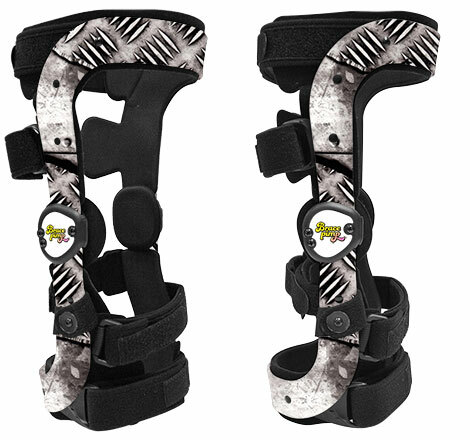 The proprietary synergistic suspension strap works brilliantly with the hinges and structural design of the Rebel ® knee brace. It utilizes the top of the calf muscle as an anatomical shelf, preventing the brace from slipping down the leg. The Compression Suspension (C/S) are two innovative semi-rigid padded sub-shells strategically mounted into opposing sides of the thigh section of the brace. When the straps are tensioned the padded sub-shells compress to the leg eliminating any brace movement and improving comfort.